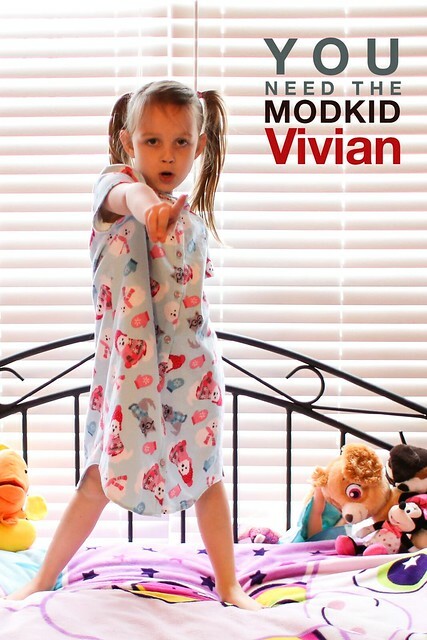 When the Modkid Vivian Shirt Dress and Nightgown pattern went into testing. I asked Little Bit if she was interested in the pattern and if she’d like a dress or a nightgown. 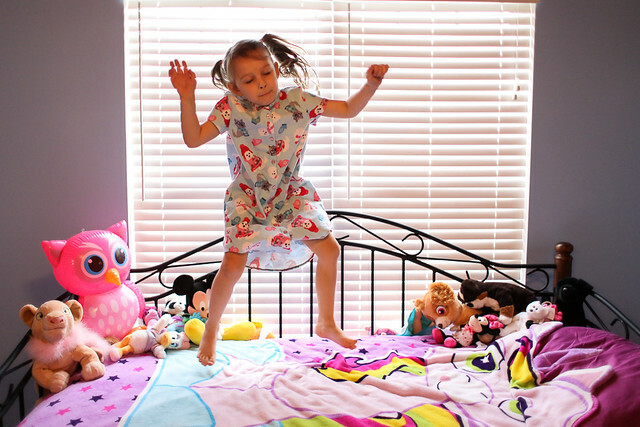 She immediately responded she wanted a cheetah print nightgown. Turns out finding cheetah print flannel was more difficult than I thought, so after much negotiations at the fabric store, we walked away with these adorable winter puppy dogs. I’m not sure who is happier with the results of this sew. 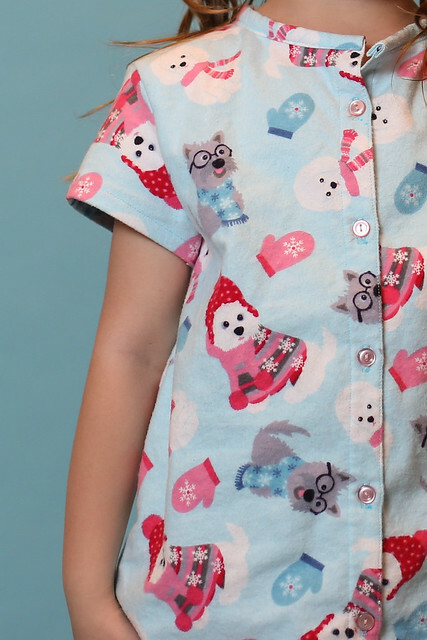 Little Bit has declared it her favorite nightgown and I’m super happy with the way it sewed up. Modkid patterns are always a joy to sew. The PDF pattern pieces assemble easily and the pieces fit together so well. These sleeves are probably the best sleeves I’ve put on and I love the way they came together. Even with all the button holes, this is a quick sew with great results. I definitely think there are a few more of these on the todo lit. The sleeves, curved hem, and buttonholes all came out wonderful despite my hesitation. I love the flannel! I’ve have a ton of it and never know what patterns to use. This would probably be a good one. Winter puppies are just as cute as Cheeta print. Thanks! The puppies did turn out super cute! I never buy flannel because I don’t know what to do with it. I’ve promised her a couple more of these. She really loves it!